Leger is a paleontologist who digs for fossils in the middle of a city rather than an open plain or desert. 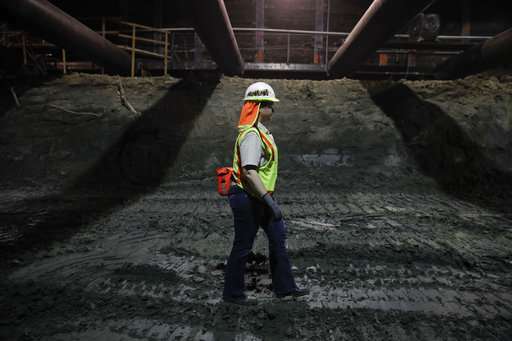 She works for a company contracted by Los Angeles transportation officials to keep paleontologists on hand as workers extend a subway line to the city’s west side. But the discovery that still makes Leger shake her head in disbelief came about a year ago, shortly after construction began on the project’s second phase. She was at home getting ready for bed when a call came in from one of her monitors. “It looks big,” he told her. California’s stringent environmental laws require scientists to be on hand at certain construction sites. 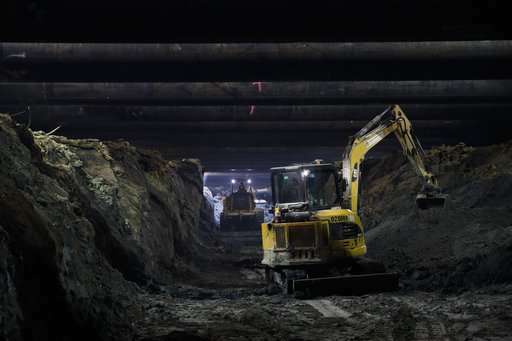 Paleontologists have staffed all L.A. subway digs beginning in the 1990s, when work started on the city’s inaugural line, said Dave Sotero, spokesman for the Los Angeles County Metropolitan Transportation Authority. Paying for the paleontologist staff from Cogstone Resource Management is factored into the project’s cost, he said. When scientists are brought in to see what crews might have unearthed, work on the project continues, albeit in a different location. “Our crews try to be as mindful as possible to help them do their jobs. We get out of their way,” Sotero said, adding that when the mammoth skull was uncovered, construction workers helped deliver it to the mouth of the site. From there, the skull was hauled a mile or so to Los Angeles’ La Brea Tar Pits and Museum, home to one of America’s most fossil-rich sites. 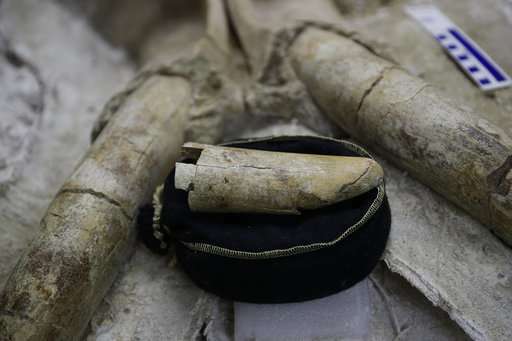 Assistant curator Dr. Emily Lindsey called it a “pretty remarkable find,” noting that while thousands of dire wolf and saber-toothed cat remains have been uncovered in L.A., there have been only about 30 mammoths. 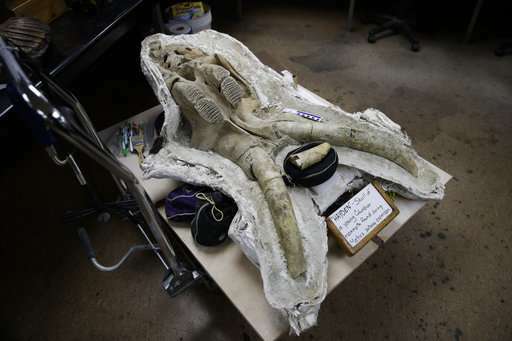 A few hundred pounds and the size of an easy chair, the skull is especially rare because both tusks were attached. 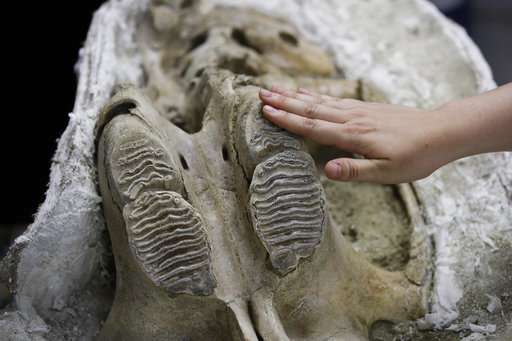 It’s being studied and is available for public viewing inside the museum’s glass-walled Fossil Lab. Last year, crews working on a development near Boston’s seaport uncovered a 50-foot (15-meter) wooden boat possibly dating as far back as the late 18th century. Lindsey praised California’s efforts to ensure science and urban development overlap, while bemoaning what bygone treasures may have been lost before the regulations went into place in the early 1970s.